Former D.C. Schools Chancellor Michelle Rhee Aims To Put 'StudentsFirst' Michelle Rhee became one of the most controversial figures in education reform when she tied pay increases to merit and fired hundreds of teachers who she said were underperforming. Now, she's heading up a group to advocate on behalf of children — not special interests groups like teachers unions. Michelle Rhee, former chancellor of Washington, D.C., public schools, speaks to staff and guests during a visit to a South Florida charter school in January. It's not only Republicans like Wisconsin Gov. Scott Walker and New Jersey Gov. Chris Christie who are challenging unions. 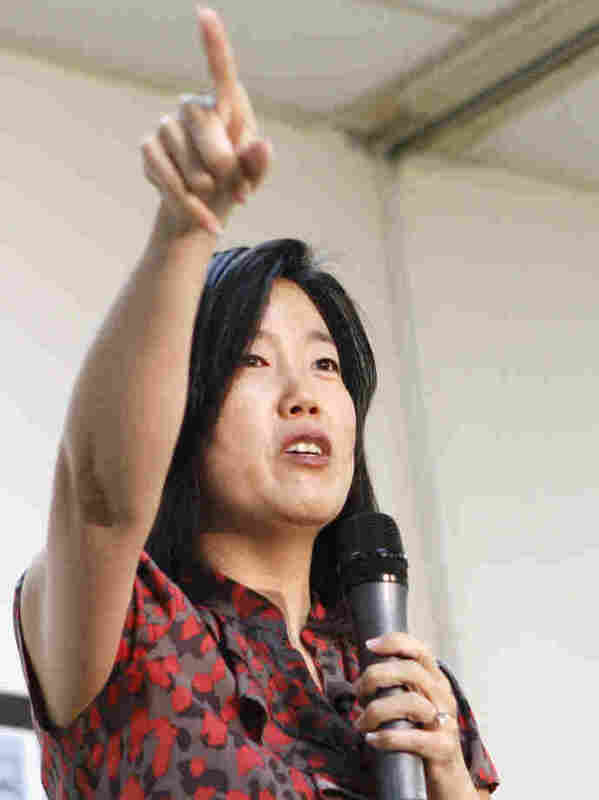 When it comes to teachers unions, increasingly it's Democrats like Michelle Rhee, the former chancellor of the public school system in Washington, D.C.